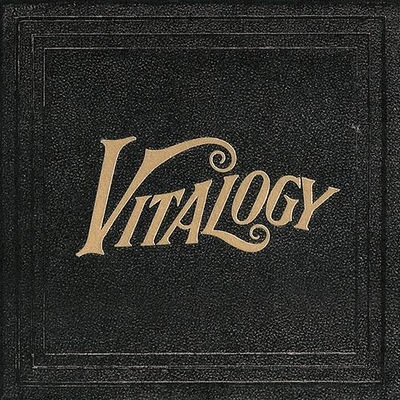 On November 22, 1994, Pearl Jam released their 3rd studio album Vitalogy on vinyl. A couple of weeks later on December 6 it would debut on cassette and cd. The vinyl debut would land on number 55 on the Billboard 200 chart selling 34,000 copies. The latter release would go on to sell 877,000 copies debuting at #1. The album has been certified 5x platinum by the RIAA. The band would perform a few of the songs in concert prior the release. Better Man, Immortality, Whipping, and Spin the Black Circle were heard at their shows before Vitalogy was completed. They performed 'Not for You' on Saturday Night Live while still promoting their sophomore album 'Vs'.